Magnum Moon: Not only does his resume mirror Justify, but Magnum Moon’s unbeaten streak solely as a sophomore beckons Curlin. Just like that 2007 Preakness winner, Belmont runner-up and Kentucky Derby third-place finisher, Magnum Moon materialized from a debut in the Florida sprint ranks to annex the Rebel and Arkansas Derby. He was awesome on the clock late at Oaklawn, even while drifting. Trainer Todd Pletcher seeks his third Triple Crown race win in the last four (Always Dreaming, Tapwrit). 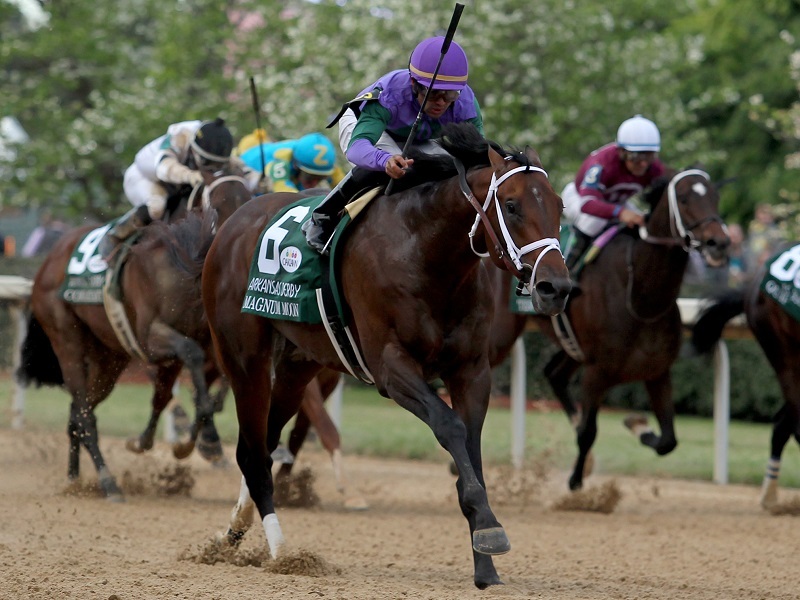 Magnum Moon’s forward, but not speed-crazy, running style has been golden among recent Derby wins and it’s positive that he’s won over 3 different tracks, including Oaklawn’s highly effective historical stage.